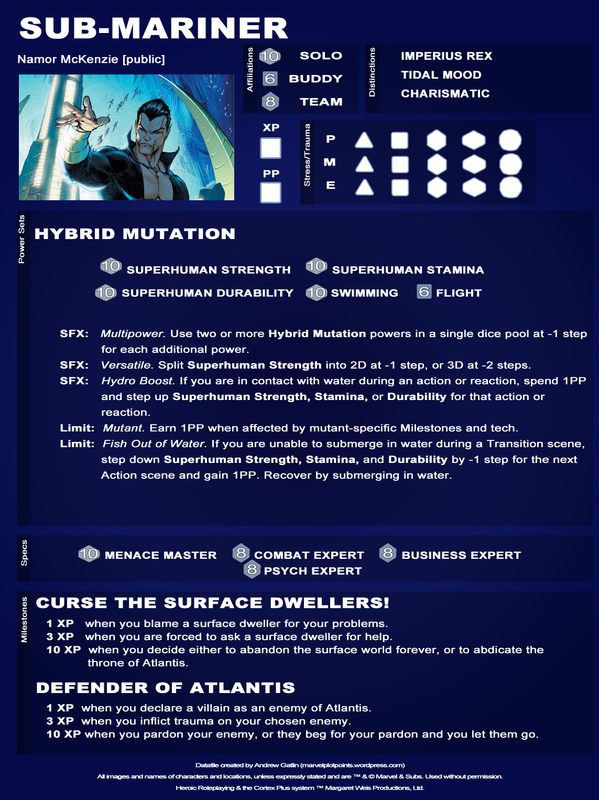 This week’s Monday Milestone tie-in is the monarch of Atlantis: Namor! Namor first appeared in Marvel Comics #1 back in 1939, and has changed relatively little since then. He is temperamental, arrogant, and distrusting of surface-dwellers. I think he will be a lot of fun to play! With him around there should be plenty of opportunity for intra-party conflict. Namor would also be a good option to “dumb down” into a Watcher character as a major villain. In recent years he has been mostly a good guy, but in the past that hasn’t always been the case. If you want to use him as a villain, just ignore the Milestones and replace any mention of Plot Points with”D6 doom die” and you should be good to go. You can find Namor’s Marvel wiki bio here. This is so awesome! Please do the original Human Torch next! 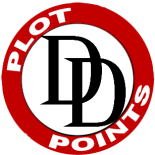 This entry was posted on April 17, 2012 by Andrew Gatlin in Datafiles.